LeAnn joined our firm in August 2017 as a paralegal. She assists the attorneys with maintaining case files, conducting research, compiling reports, communicating with fellow attorneys and clients, and a variety of other needs in the office. LeAnn was born and raised in Gallatin, Tennessee, where she learned from the strong sense of community there. She graduated from Volunteer State Community College and Western Kentucky University, where she majored in Sociology, minored in Accounting and finished with a Master’s Degree in Counseling. After graduation, LeAnn began a career in higher education advocacy as a counselor at Volunteer State, where she worked primarily with dislocated workers and single parents through federally based grant programs, helping them navigate the education pathway to vital career choices and self-sufficiency. LeAnn later moved to the position of Grants Coordinator for the Colleges of Applied Technology at the Tennessee Board of Regents. There she administered federal grants to most of the forty plus institutions within the TBR system at the time. 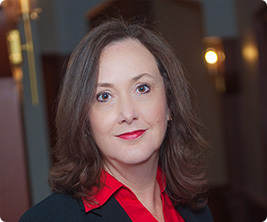 LeAnn also served as a Student Services administrator, conducted student complaint investigations, often in conjunction with TBR’s Office of General Counsel, the TCAT Legislative Liaison for TBR initiatives and the Compliance Officer for work with the U.S. Department of Education’s Methods of Administration division. She has a servant’s heart and her background is well suited to assist with the needs of injured clients. LeAnn is married, and has two children and four dogs. Avid sports fans, LeAnn’s family can often be found at the children’s sporting events or Predators games. She is also an advocate for the animal rescue community.